When you buy a car, repairs are inevitable at some point. The older your car gets, the more repairs you will be responsible for. However, when you buy a used car, this can be a worrisome prospect. You never know exactly what you are getting into when you buy a used car. There are a few things you can do to ensure that the car you buy is in as good of condition as possible. Plus, if you do need to perform repairs, there are things you can do to keep the costs minimal. Here are a few things you can do to help save yourself some money on the car repairs you will inevitably face. When you get a car, the first thing you should do is to read through the owner’s manual. Once you get a feel for when you should perform the maintenance, set up a schedule. You want to mark down when each task should be done, and then stick to it. By preventing problems, you reduce what you will have to spend on repairs. If you ask around for a good mechanic from people you trust, then you are more likely to get a good mechanic who is not going to gouge you in terms of prices. Find a good mechanic and turn to them with all of your repairs. 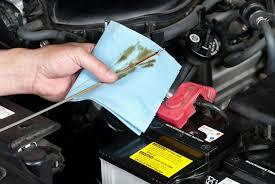 This will save you money by knowing that you can have some you trust working on your vehicle. Plus, if you always go to the same mechanic, they will be more likely to notice problems early, saving you money by not letting problems get worse. When you are already looking at getting something fixed up with your car, talk with your mechanic about any other problems that may need addressing in that same area. For example, if you need to have the tire taken off to get to a part under the engine, you may want your mechanic to look at the brakes at the same time. That way, you do not pay double to have the same steps done. While you would be paying more now, it would still be saving you money. That is because you are going to pay for the labor of removing the tire now, and again in the future, should you choose to wait for the second repair. One of the best ways of cutting down on how much you pay for repairs is to buy the parts yourself. You can often get them for a steep discount when you buy them online. Then, you simply bring the part to your mechanic and have them install it. That way, you are not paying their markup or the price they get from their suppliers plus the cost of the labor, you are only paying for the labor. It can cut down a lot on the repair costs, especially if you do this for every repair you need to have done. If you truly want to save money on repairs from car problems, you want to try and do whatever fixes you can on your own. This does not mean you will be able to do everything, but simple things like keeping up with oil changes and filling your tires are things that most car owners can keep up with. Checking your fluid levels, changing small parts on your vehicle, and keeping your car clean are all things you should keep up with on a regular basis. Every little bit of maintenance and repair you can do cuts down on what you have to pay someone else to do. If you have ever gotten into your car and noticed the signs of a problem, but done nothing about it, this is letting your problem get worse. This means you will likely spend more to fix it down the line. If you turn your car on and the check engine light comes on, or the ABS light, you want to get it checked out right away. Random noises, squeals from belts, or puddles on the ground are signs that something in your engine is not quite right. Go in and get the problem checked out now. The sooner you get the problem fixed, the easier the fix will be, and the less likely you are to suffer from other problems in and around the engine as a result of putting this fix off. Most people do not worry as much about the appearance of a used car as they do about the appearance of a new car. However, this is an important part of the vehicle to maintain. Each little ding you get in the vehicle has the potential to cause rust and other problems, which can increase your repair costs, and will definitely take away from the value of your vehicle. By repairing those dings, you avoid the rust, and the subsequent problems with your vehicle. This then helps cut down on how much it costs to keep your car running. Repainting the entire car is not necessary, so you may have to look around and find a place that will simply repair the ding. However, the time invested in finding the right person is worth it! Buying any car means you will have to put some time and effort into repairs at some point or another. When you know how to save yourself repair money, it can make owning that vehicle for a long time, much less of an expense. Take the time to care for your vehicle properly from the beginning, so it can last you as long as possible. Once you no longer have a note to pay off on the vehicle, you can set that amount aside each month as an emergency fund to pay for any repairs you will face down the line! We all know that brakes play a vital role in automobile safety, but do we all spend as much time checking our brakes as often as we should? All car-owners should inspect their vehicle on a regular basis, and take care of any little flaws or faults immediately. Sadly, though, brakes can be overlooked; you might focus on your engine and your tires, but often take your braking system for granted. Nobody can afford to do this, not when your proper brake performance can literally mean the difference between life and death. So, with that in mind, how can you check and maintain your own brakes to keep yourself, and fellow drivers, as safe as possible when behind the wheel? Is Your Brake Fluid Healthy? Your car brakes feature five core parts: the brake pads, calipers, rotors, brake lines, and the master cylinder. The brakes operate with hydraulics, using fluid to maintain control from your foot as it presses the pedal to the brakes on your car’s wheels. This entire transfer of power starts with a piston in the master cylinder; applying pressure to the pedal causes fluid to run through the brake lines to the calipers, slowing the movement of the wheels to ultimately bring your vehicle to a stop. 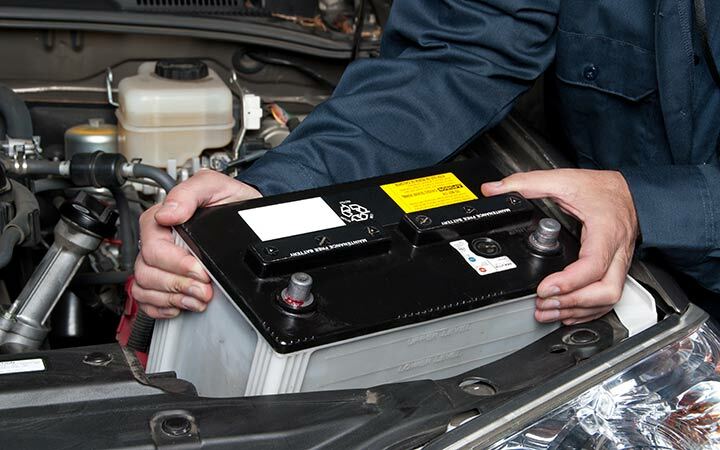 This brake fluid is stored in a reservoir under the hood, and maintaining its proper level and performance is quite simple: check for any clear leaks or cracks in the reservoir and the lines, and be sure to check the fluid level at least once a month. Your car’s manual will tell you how much fluid is required, so familiarize yourself with this information for quick checks in the future. Brake fluid attracts water and can absorb water molecules from the surrounding area. This can occur no matter how tightly you screw the cap onto the reservoir, running the risk of creating rust along your brake lines, leading to potential ruptures over time. To help avoid this, ensure your reservoir’s cap remains tightly closed, and it’s generally best to replace the brake fluid once every two years, or for approximately every 25,000 miles. Is Your Master Cylinder Working As It Should? The master cylinder is at the heart of your entire braking system, so keeping it in the best possible condition is very important. How do you know when to check this if you don’t already on a regular basis? Usually, the brake pedal itself will start to feel different, kind of spongy, when you apply pressure, or the ‘oil” or “oil can” light on the dash will come on. When checking your master cylinder, examine it, and the surrounding area, for any signs of leaks. Any escaping fluid means it’s time for a replacement, though this may be a little complicated; anyone but the most experienced drivers would be advised to contact professional mechanics for this job. It may cost more, but it’s best to avoid any potential errors with your master cylinder, no matter how small it may seem. Are Your Bake Pads in Good Shape? As the brake pedal is depressed, the brake pads make contact with the rotors (brake discs) to bring the car to a safe, steady stop. If the pads start to wear and go unchanged, you can find yourself facing one particularly dangerous side-effect; the vehicle’s inability to stop when needed. Certain cars allow you a clear sight of the brake pads without needing to remove the wheels, but in most cases, each wheel will need to be taken off the vehicle. Healthy brake pads will have at least 5mm density, with balanced wear across both. 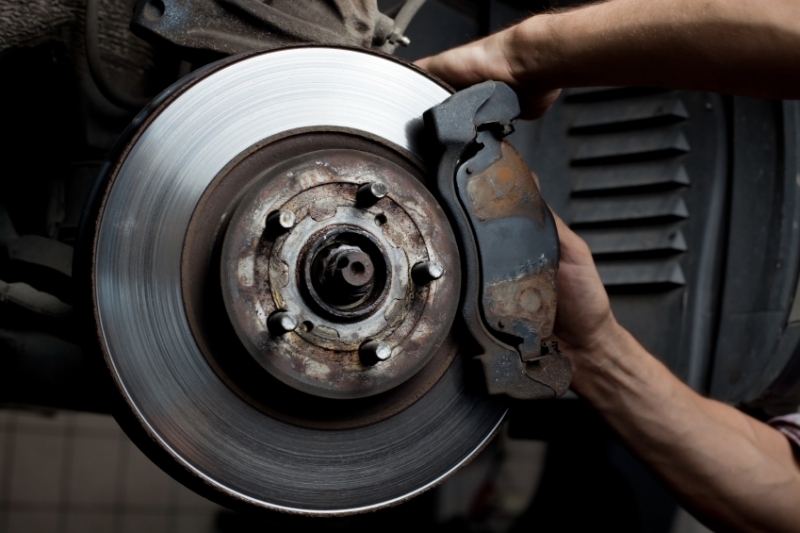 Check the brake pads once every 5 to 7,5000 miles, but pay attention to common warning signs: a sudden high-pitched or grinding noise when the brake pedal is depressed is an immediate clue. Struggling to slow down normally when the pedal is pushed, or an unstable steering wheel are equally telling. If you find yourself being pulled more to the left or right, one brake pad could be more worn down than the other. Worn-out brake pads may also create an unusual vibration in the pedal. Given the tremendous heat generated as pads and rotors press together, it’s not surprising that these components wear down over time, and brake fluid may actually start boiling in the calipers. If this happens, braking may be more difficult than it should be, potentially leading to complications or, at worst, accidents. Some manufacturers do produce pads designed to better handle high heat, though these tend to under-perform when driving in lower temperatures, or when you have little need to use your brakes much during your trips. You can make your brake pads last longer by avoiding high speeds, thereby minimizing needing to brake quickly and heavily; this puts incredible pressure on the pads and the rotors alike. Stay focused on the traffic ahead and around you too, to help reduce sudden braking from other drivers’ unexpected behavior. Have You Inspected Your Rotors? As mentioned earlier, your rotors (brake discs) are integral to your car’s braking system: these metal disks are what your brake pads need to press against to bring the car to a stop. Check your rotors for any indentations or grooves, and be sure they’re not broken. If they’re not completely rounded, invest in replacements. However, this should always be done in pairs: get new front or back ones together, never one of each. Why? Because then you can rest assured that your new rotors will wear with balance, keeping an even grip on both sides of the vehicle. This stops you from being pulled to one side or another when applying the brakes. As with brake pads, try to extend your rotor’s life by keeping your driving at a measured pace, so you’re not slamming on the brakes more often than is necessary. Heavy braking for a sudden stop again and again will lead tp your entire braking system wearing down faster than if you take things a little more slowly. Though the responsibilities of everyday life can make it hard to find time for checking your car’s brakes, make the effort to do so as recommended by your vehicle’s manufacturer. Stay on top of your maintenance, either by doing the work yourself or taking it to a qualified professional. In short, take care of your braking system and your braking system will take care of you. At Eden Autos, we encourage our customers to stay up to date with basic vehicle maintenance and repairs that can keep their vehicles in good running condition and that can save them money. We hope you find this information helpful.